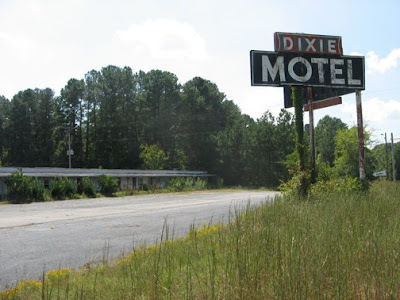 In South Carolina, just across the North Carolina state line is the best old-fashioned tacky tourist trap on the eastern seaboard, South of the Border. 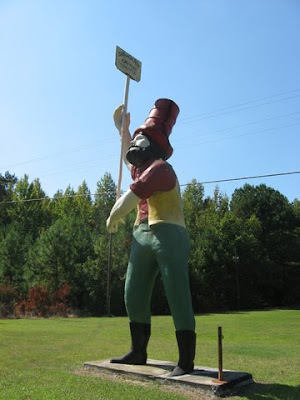 I'll talk more about them in the next post, but one of their great features are the seemingly hundreds of billboards you pass for miles and miles along Interstate 95, proclaiming the greatness of Pedro, their politically incorrect mascot, and the marvels they have to offer: fireworks, grits, camping, you name it. 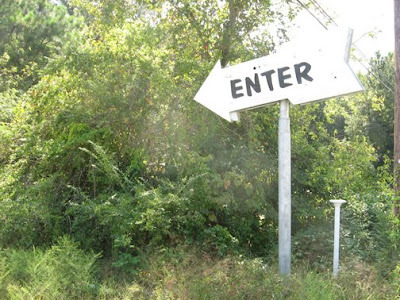 How can you not stop here after your desires and curiosity have been whipped up into such a frenzy, especially if you're a bored kid in a car on the way to Grandma's in Florida? 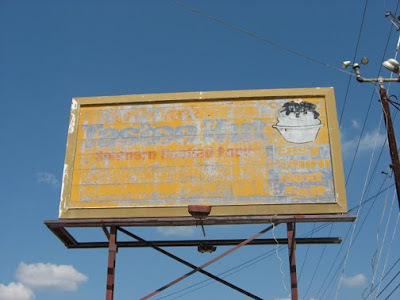 The legendary Wall Drug in South Dakota used this same billboard technique to great effect all along I-90. 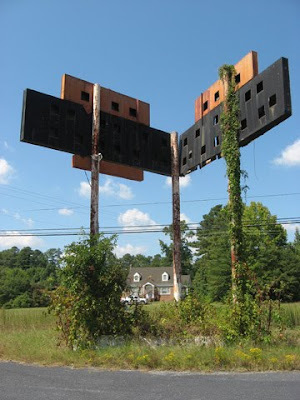 These places hearken back to a simpler, less sophisticated time, when billboards were beacons that would lead the way to awesome places and things. "¡Yo quiero South of the Border"! Every once in a while you come across a souvenir that makes you go "huh?" 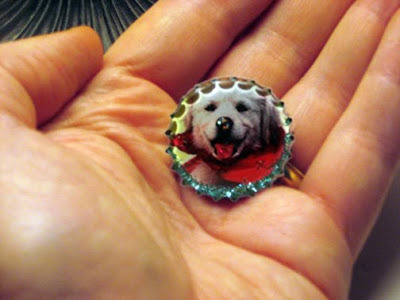 and such was the case with this item. While patronizing a CVS drug store on the Las Vegas strip I spotted a huge dispenser full of lip balm. Nothing to see here I thought, until I noticed the little sticks had the classic "Welcome to Fabulous Las Vegas Nevada" logo on the label. No other brand name, just that. 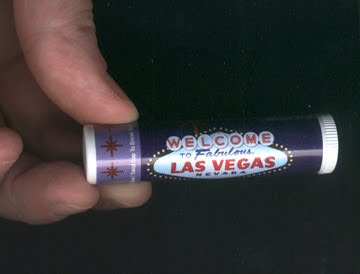 Sure, people are apt to get chapped lips from the hot Vegas sun and people probably kiss each other more here than wherever back home is, but I'd never seen a cosmetic with a city's logo on it before. 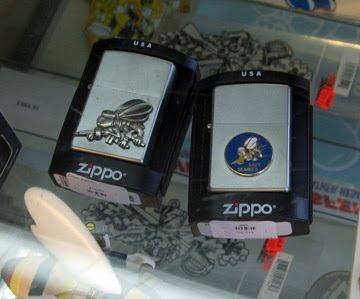 A practical souvenir and at a popular price, to boot. I love souvenirs. 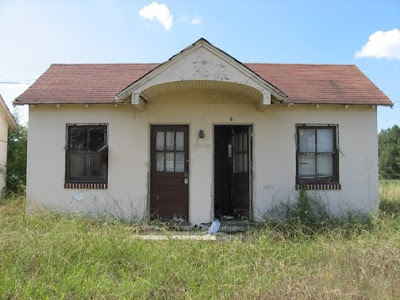 The looking is often more fun than the buying and owning...once you get that precious keepsake home, now what do you do with it? I've bored my friends and relatives to tears by giving them my so-bad-it's-good treasures, so now I mostly just photograph them. 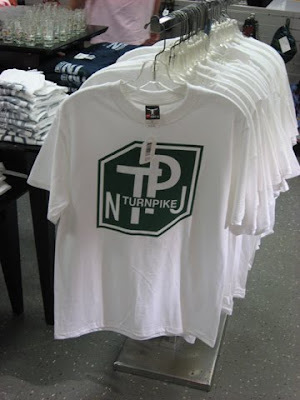 Here's a real beaut: a New Jersey Turnpike t-shirt. The NJT is not what you'd call a pleasure ride, so who in their right mind would want a garment promoting it? That's the beauty of it! Awesome. 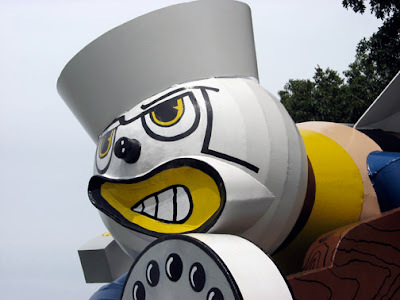 I think the great Seabees statue looks like a cross between a Roy Lichtenstein painting and Mr. Bill. ...along with some other unique items. 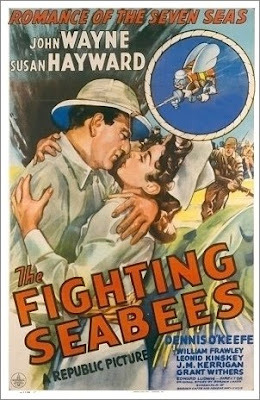 John Wayne and Susan Hayward even made a movie about the Seabees. ...not to be confused with Helen Hayes as Mrs. Ada Quonsett from the movie "Airport." After the Japanese attack on Pearl Harbor in 1941, the U.S. Navy created construction battalions to provide support to U.S. troops fighting in different parts of the world. 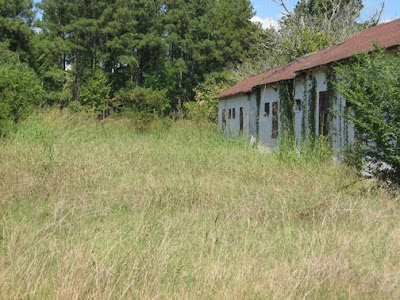 These battalions were called Seabees and they were made up of experienced, highly skilled craftsmen including electricians, carpenters, plumbers, equipment operators — virtually any construction or building trade needed to get the job done. 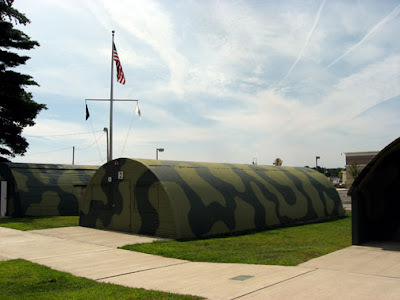 The original battalions were formed at a naval base in Davisville, Rhode Island and 100,000 Seabees were trained there. Frank Iafrate, a civilian file clerk working at the base, created a great insignia in 1942. 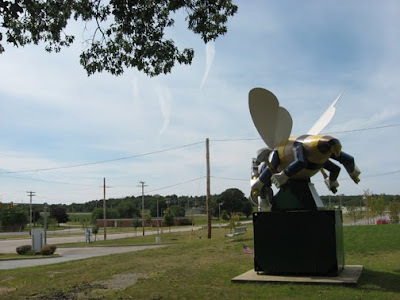 Here's what he said about it: "I thought of a bee — the busy worker, who doesn’t bother you unless you bother him. But provoked, the bee stings. It seemed like an ideal symbol. The rest came easily. 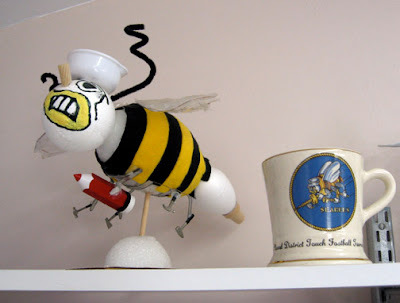 I gave the bee a white sailor’s cap, various tools to show his construction talents, and finally a Tommy gun to show his fighting ability. 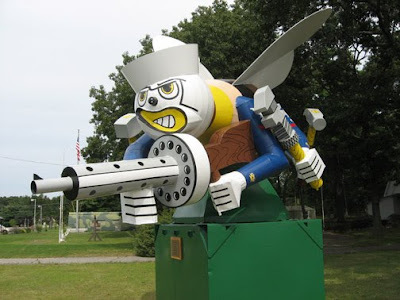 I made the bee a third-class petty officer (E-4) with the 1942 Naval insignia used by the first Seabees on each arm … a machinist’s mate, a carpenter’s mate, and a gunner’s mate." 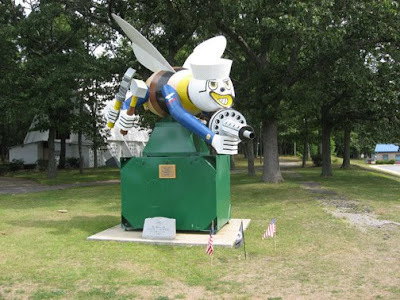 Iafrate later enlisted in the U.S. Navy in 1942 and during the war he served as a Chief Carpentersmate in a Seabee Construction Battalion Maintenance Unit. 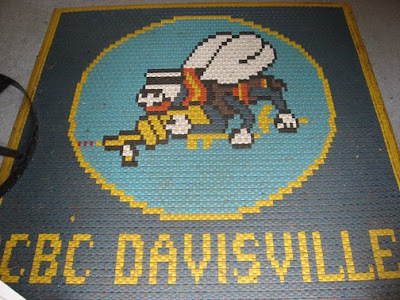 The base at Davisville was decommissioned in 1994. 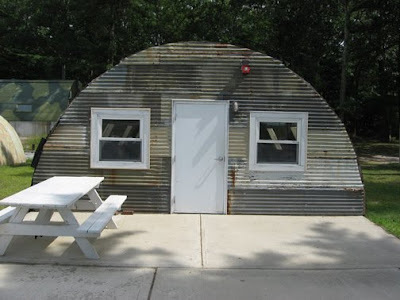 There now sits a Seabee museum and several Quonset Huts, another innovative Rhode Island military invention carrying the Indian name for the region. 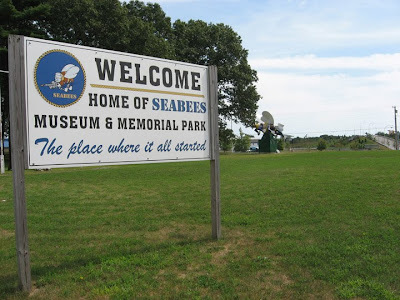 A beautiful Seabee statue greets visitors and reminds all of their proud heritage. 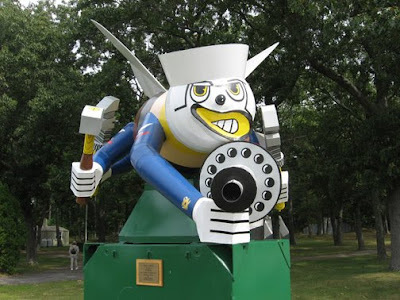 Sometimes it's used in parades and is a nice compliment to Rhode Island's other oversized insect statue, the New England Pest Control Big Blue Bug. 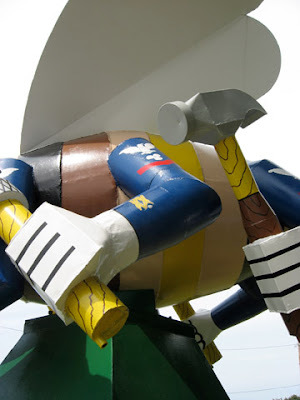 By the way, this is the year of the Seabee at the United States Navy Memorial in Washington, DC. Check it out. 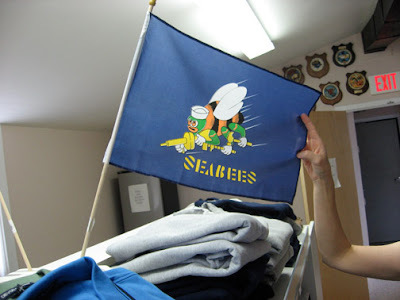 You do Rhode Island proud, Seabees! 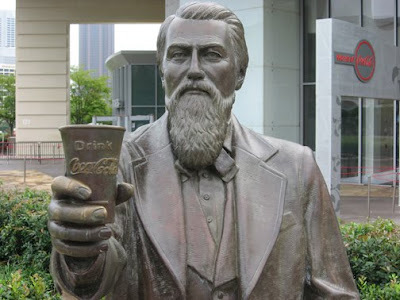 They didn't side-step the New Coke debacle. 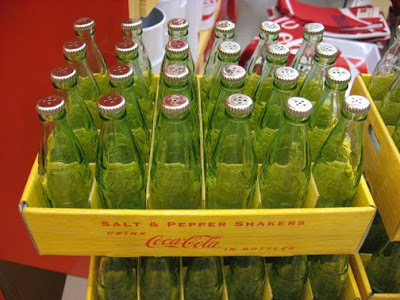 The Coke Store has lots of cool stuff like these salt and pepper shakers. You can sample Coke products from around the world. These are from South America. 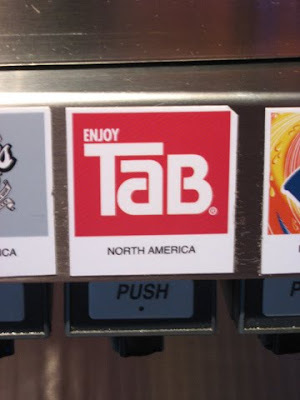 ...and yet it still tastes better than Tab. 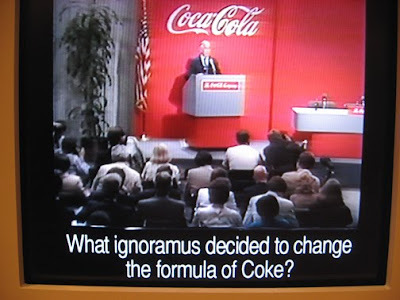 I don't care if it rots your teeth, has more sugar in one can than all of Cuba and gets you hopped up like a gerbil on a wheel, I love Coca-Cola. 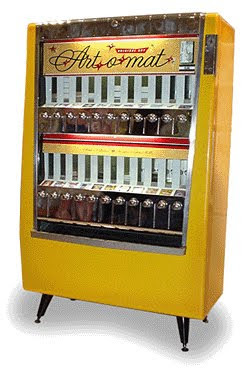 When I was a kid, those old Coke vending machines where you yanked out a frosty cold glass bottle and popped the top off with the built-in bottle opener were great. 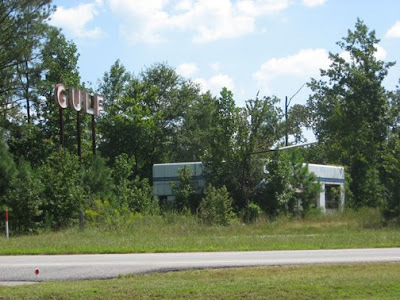 The first gulp always made you cry a little and would be followed by a satisfying "ahhhhhhhh" from your slightly burned throat. 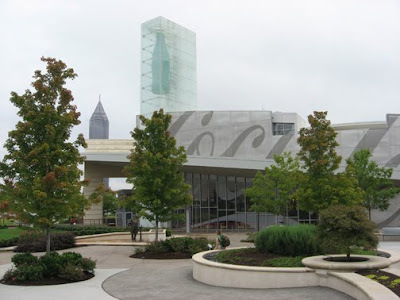 Atlanta is the hometown of Coke and they've got a really cool museum there called the World of Coca-Cola, right in the heart of downtown. 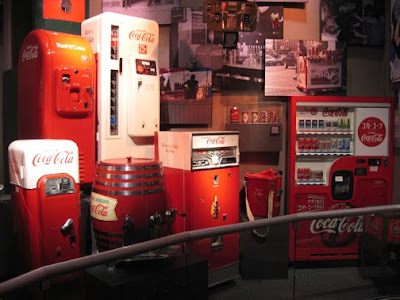 There are historic exhibits, 3D movies, original Coke-inspired artwork, and a TV commercial viewing room. But the coolest room they have is called "Taste It." 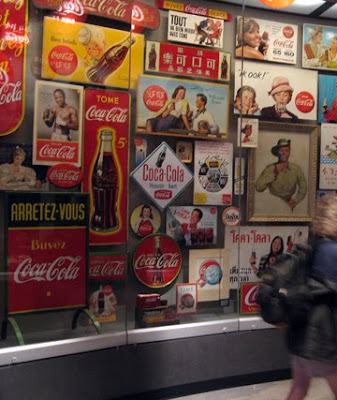 Coke makes many different flavored beverages that are sold in other parts of the world and here you get a chance to sample sixty of them, arranged geographically in five tasting stations. Some are fruity, some are earthy, some are God-awful. 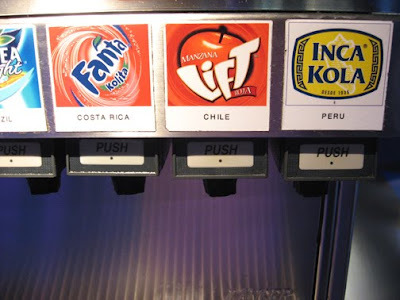 After sampling way, way too many flavors, my favorite was Inca Kola from Peru which offers a nice, fruity splash. 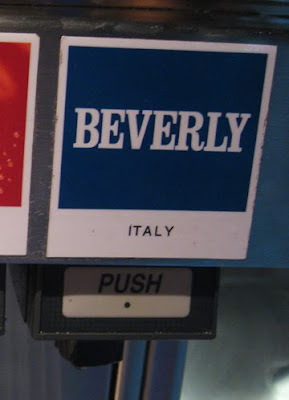 Only the bravest pop aficionados should sample Beverly, however, an aperitif from Italy, which has a taste reminiscent of puke. 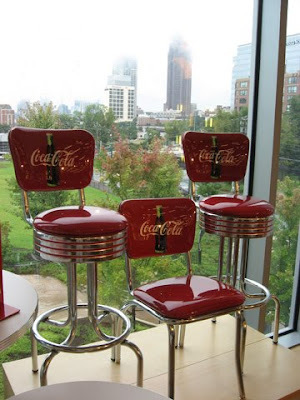 There's also a great store with many fun, retro-designed Coke items. Yes, you do pay good money for the privilege of promoting a product that already permeates every corner of the earth, but why not? Coke adds life, it's the real thing, you can't beat the feeling, it's red, white and you, things go better, it's always Coca-Cola, and it's the pause that refreshes. Enjoy. 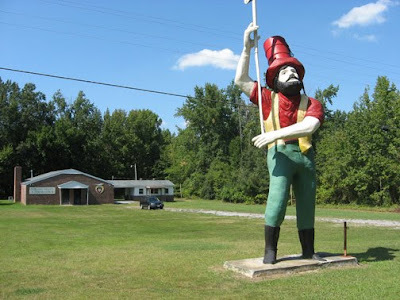 It's always great when an eccentric roadside attraction is not far off the interstate if you're trying to make time, and such was the case on our last trip. 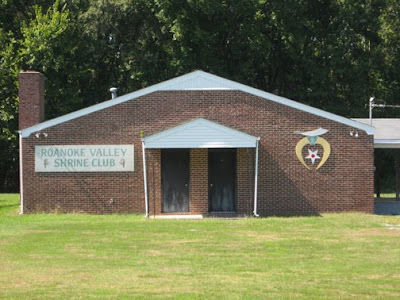 Just minutes of I-95 in North Carolina sits the Roanoke Valley Shrine Club building and their gloriously peculiar Daniel Boone-esque mascot. 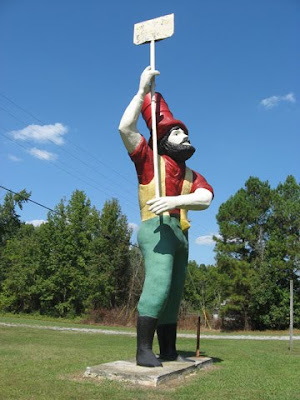 For years, a prospector statue stood atop Elmo Garner Jewelers and Home Improvement in Roanoke Rapids. 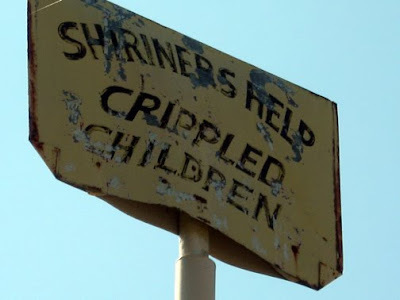 Worried the statue might blow over into the gas station next door in a storm (and hounded by an anti-prospector sign ordinance), Mr. Garner donated it to the Roanoke Valley Shrine Club, of which he was a member and where it has stood watch on a quiet street since 1989. 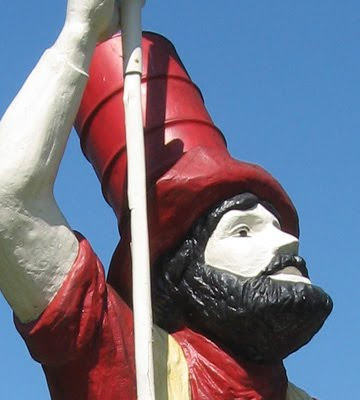 His best feature by far is the oil drum on his head painted red to look like like a Shriner's fez. Clothes make the man. 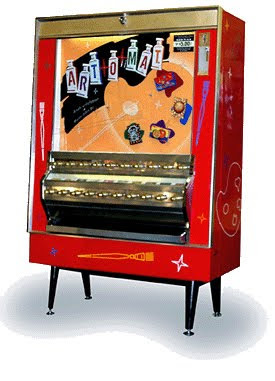 There are 82 Art-O-Mat machines around the country and each have their own distinctive retro graphics. The machines feature art from 400 artists from around the world. 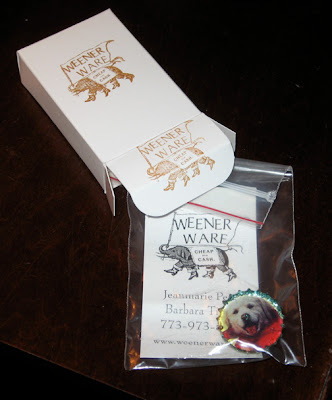 My selection was a distinctive pin from Weener Ware. Cool! 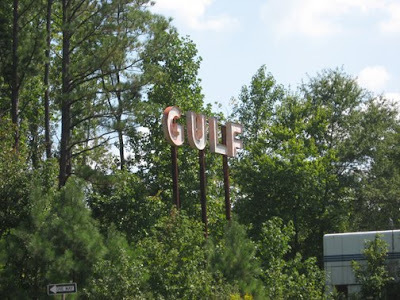 The year was 1997, the town was Winston-Salem, North Carolina. 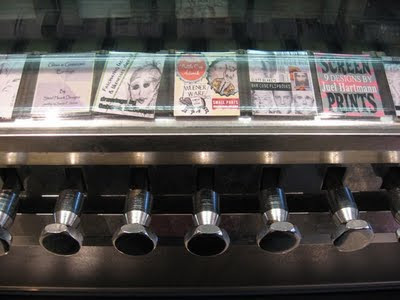 Artist Clark Whittington was set to have a solo art show at a local cafe, Penny Universitie (now Mary's Of Course Cafe). 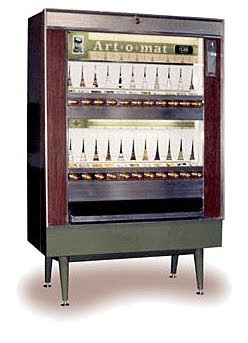 This is when Whittington used a recently-banned cigarette machine to create the first Art-O-Mat. 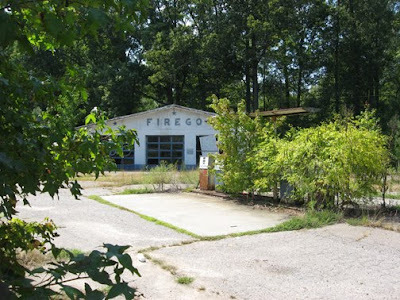 In June 1997, it was installed, along with 12 of his paintings. 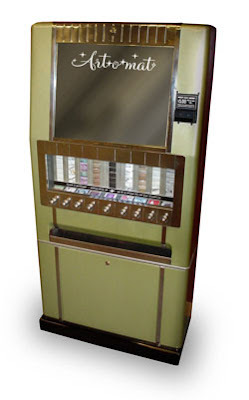 The machine sold Whittington's black & white photographs for $1.00 each. 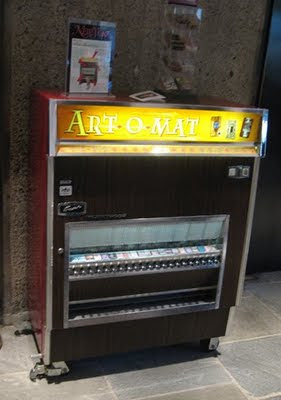 Personally, I thought the Art-O-Mat was really Kool. 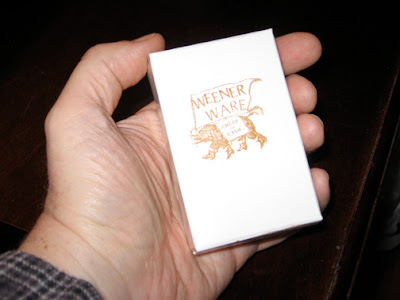 On a Lark, I'd walk a mile for one because you've got a lot to like and they've come a long way, baby. And I'd rather fight than switch. 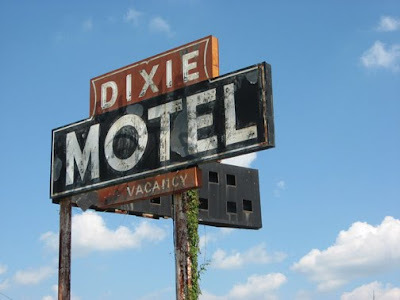 As much as I try to be positive, I have to admit it's no fun driving on I-95 anywhere north of Washington D.C. Mile after mile of ripped-up congested pavement through every northeastern metropolis takes its toll on the eccentric roadside traveller. South of DC, 95 becomes much more placid and leisurely. Trouble is, it's also pretty boring. 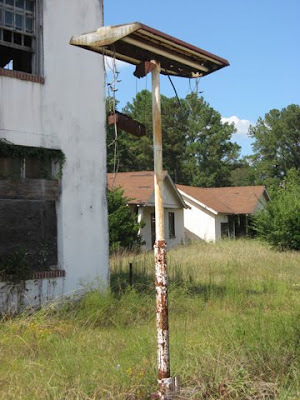 We kept seeing cool, old abandoned road sites on Route 301, which parallels a good stretch of 95 in southern Virginia. 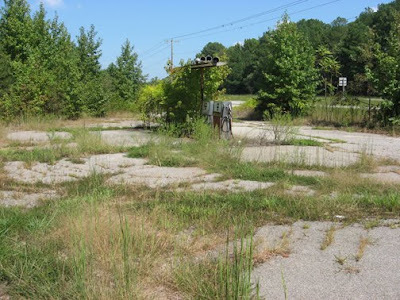 301 is a road not unlike Route 66 and other pre-Interstate main drags. 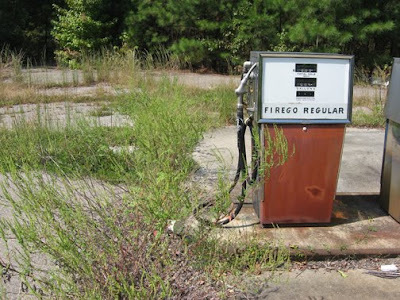 We were able to get off 95 and keep pretty much keep to our schedule by taking 301, enjoying some spectacular forsaken gas stations, motor courts, billboards and signs along the way. 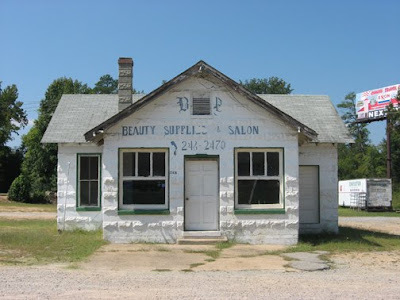 One thing about the busy northeast: if a gas station goes out of business, it might go vacant for a year or so, but soon enough, someone is renovating it into a Starbucks or a U-Stor-It. 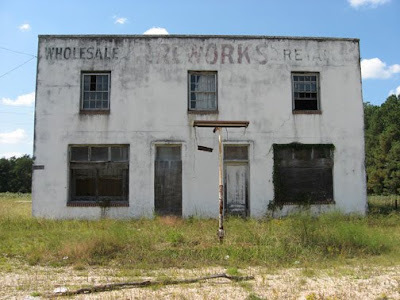 In other regions of the U.S., abandoned places stay abandoned seemingly for all eternity, where 6-foot weeds overtake them and old rusted signs creak back and forth in the breeze. 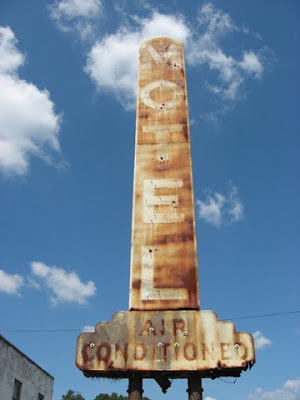 I love places like this...old ghosts rotting away under sunny blue skies. 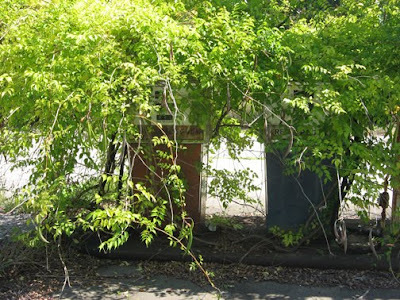 Long live decay.